The Democrats vying for the 2016 presidential nomination were silent about a new video showing a top Planned Parenthood doctor outlining plans to sell body parts from aborted babies. 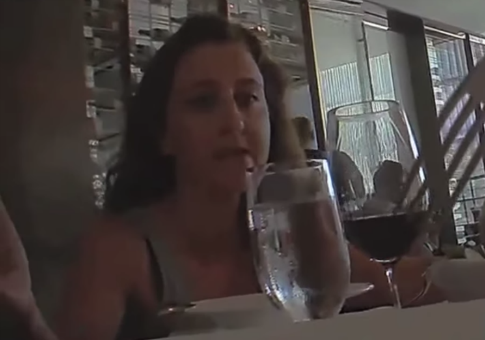 The undercover sting video shot by the non-profit Center for Medical Progress appears to show Dr. Deborah Nucatola, the senior director of medical services at Planned Parenthood Federation of America, talking about reselling body parts of babies subjected to abortions. Nucatola brags about the techniques Planned Parenthood doctors use to preserve valuable body parts as she eats lunch with two actors posing as prospective buyers. "We’ve been very good at getting heart, lung, liver, because we know that, so I’m not going to crush that part, I’m going to basically crush below, I’m going to crush above, and I’m going to see if I can get it all intact," she says in an eight-minute video pulled from a nearly three-hour conversation that the group also posted online. Nucatola said that Planned Parenthood doctors enlist the help of ultrasound to make sure they don’t damage organs as they remove pieces of the baby from the womb. Planned Parenthood has called state ultrasound bills "cruel" in the past. "A lot of people want liver," she says pausing to bite her salad. "And for that reason, most providers will do this case under ultrasound guidance, so they’ll know where they’re putting their forceps." The Washington Free Beacon reached out to the campaigns of all five Democrats running for president: former Secretary of State and frontrunner Hillary Clinton, insurgent socialist Vermont Sen. Bernie Sanders, former Maryland Gov. Martin O’Malley, former Virginia Sen. Jim Webb, and former Rhode Island Gov. Lincoln Chafee. None responded to questions about whether they condemned the practice of organ harvesting, whether Democrats should distance themselves from Planned Parenthood, or return campaign donations from the group. Planned Parenthood is the nation’s largest abortion provider, performing around 300,000 abortions per year. It has received nearly $200 million taxpayer dollars since 2012 including $27 million in grants alone in 2015, according to a Washington Free Beacon analysis. Planned Parenthood has in turn spent major money supporting the Democratic Party, including nearly $18 million in outside spending in 2014 and 2012, according to the Center for Responsive Politics. Nearly all of its nearly $6 million in direct contributions since 1990 have gone to Democrats. Each Democratic candidate enjoys a close relationship with Planned Parenthood and the abortion lobby. Lincoln Chafee, the former governor of Rhode Island, is the only one without a perfect rating from the pro-abortion group NARAL. He has a 90 percent approval score. Clinton won Planned Parenthood’s Margaret Sanger Award in 2009. She received more than $10,000 from the organization during two Senate runs and failed 2008 primary against President Barack Obama. She opposes limits on late-term abortion. As president, Bill Clinton vetoed a ban on partial birth abortion methods that Nucatola appeared to discuss in the video. "The overarching mission of the Planned Parenthood Federation of America, the cause of reproductive freedom that you continue to advance today is as relevant in our world now as it was 100 years ago. So, I thank you," Clinton said in a release upon winning the award. A campaign spokesman did not return a request for comment. 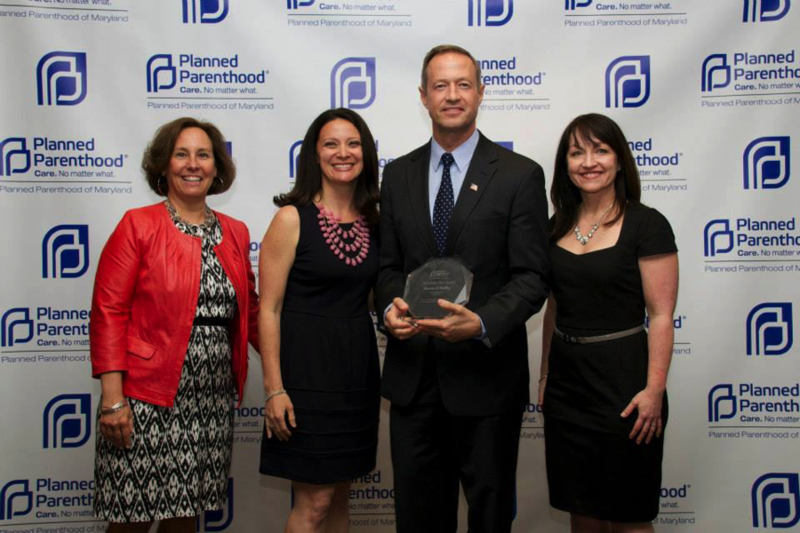 O’Malley has also been honored by the organization, winning Planned Parenthood Maryland’s Betty Tyler award in 2014. "We are building a stronger future for all of our children and grandchildren. I am honored to receive this recognition from Planned Parenthood Maryland for Maryland’s hard-won progress," he said in a release. Sanders received $5,500 from Planned Parenthood between 2012, a steep increase from the $1,500 he received between 2004 and 2006, according to the Center for Responsive Politics. Chafee received more than $18,000 in 2000 and 2006 when he served in the U.S. Senate, according to the Center for Responsive Politics. Webb received no money from Planned Parenthood in his 2006 Senate run, though he still enjoys a perfect pro-abortion rating from NARAL. Neither O’Malley, Sanders, nor Webb returned a request for comment. Carly Fiorina, the former CEO of Hewlett-Packard, was the first presidential hopeful to respond to the video, posting a link to her Facebook page. "I am proudly pro-life. I believe that every human life has potential and that every human life is precious. This latest news is tragic and outrageous. This isn't about ‘choice.’ It's about profiting on the death of the unborn while telling women it’s about empowerment," Fiorina said. Louisiana Gov. Bobby Jindal, who announced his presidential run in June, launched an investigation into Planned Parenthood operations in his state following the video’s release. "The systematic harvesting and trafficking of human body parts is shocking and gruesome," Jindal said in a statement. "This same organization is seeking to open an abortion clinic in New Orleans. I have instructed Louisiana’s Department of Health and Hospitals to conduct an immediate investigation into this alleged evil and illegal activity and to not issue any licenses until this investigation is complete." Jindal called on the Democratic field to return campaign donations and to condemn Planned Parenthood. "Even the most hardened liberal must feel some pang of conscience watching the callousness with which [Nucatola] discusses the dismemberment of defenseless babies. How could anybody, regardless of political party, refuse to condemn such barbarism?" Jindal told the Washington Free Beacon. "I hope those who oppose efforts to encourage a culture of life watch this video." Rick Perry, the former governor of Texas, said in a statement that these types of concerns led him to defund Planned Parenthood in his state. "The video showing a Planned Parenthood employee selling the body parts of aborted children is a disturbing reminder of the organization’s penchant for profiting off the tragedy of a destroyed human life," he said in a statement. "It is because of stories like this that I signed legislation defunding Planned Parenthood in the state of Texas—to protect human life and the health and safety of Texans." The call to defund Planned Parenthood stretched beyond pro-life politicians. A campaign spokesman for George Pataki, the former governor of New York and the only pro-choice candidate in the GOP field, endorsed cutting off taxpayer dollars to the organization. "The video is abhorrent and Governor Pataki would support ending federal funding for Planned Parenthood," said David Catalfamo, a spokesman for Pataki, in a statement. Planned Parenthood defended the practice as "ethical," referring to the harvested body parts as "tissue." It claimed to receive "no financial benefit." "We help patients who want to donate tissue for scientific research, and we do this just like every other high-quality health care provider does—with full, appropriate consent from patients and under the highest ethical and legal standards," it said in a release. "In some instances, actual costs, such as the cost to transport tissue to leading research centers, are reimbursed." Nucatola alluded to the fact that local clinics stand to gain in the harvesting of organs and other body parts. "For affiliates at the end of the day, they’re non-profits. They want to break even, and if they do a little bit better than break even and do so in a way that seems reasonable, they’re happy to do that," she says in the full video. Marjorie Dannenfelser, president of the Susan B. Anthony List, a 501(c)(4) non-profit that supports pro-life candidates, said that Nucatola’s statements mirrored the actions of the abortion doctor Kermit Gosnell, who kept jars of body parts in his Philadelphia clinic. Gosnell was convicted of multiple counts of first-degree murder in 2013 for stabbing babies born alive. "This barbarity is only a natural outcome for an organization that, according to their own annual reports, destroys more than 300,000 children a year and wounds that many women. Trafficking is the grotesque collateral damage following a gross violation of human life," she said of the video. Dannenfelser said enacting safety regulations and signing 20-week abortion bans could cut back on such practices. She said such legislation would put pro-life politicians on offense as the measures have received more than 55 percent support in several polls. "The best way to end [harvesting] is to protect these distinct and unique human lives from destruction. This is why 15 states have enacted laws to put an end to abortion after five months, when the baby can feel pain," she said. Gov. Scott Walker of Wisconsin, who kicked off his 2016 campaign on Monday, is expected to sign a 20-week abortion ban in the coming weeks, while Sens. Lindsey Graham (R., S.C.) and Rand Paul (R., Ky.) have sponsored similar prohibitions on late term abortion in the Senate. This entry was posted in Issues and tagged 2016 Election, Abortion, Planned Parenthood. Bookmark the permalink.